HUSBANDS, TAKE GOOD CARE OF YOUR WIVES! Husbands, please listen; your wife is to be treated with utmost care and be given more priorities. Before getting married, your friends can take more priorities in your life, you can even afford to hang-out overnight. But the moment you recite the marriage creed, she takes the second place in your life, next to GOD, she takes priority over your friends and takes charge of your nights(no more overnight hang-outs). 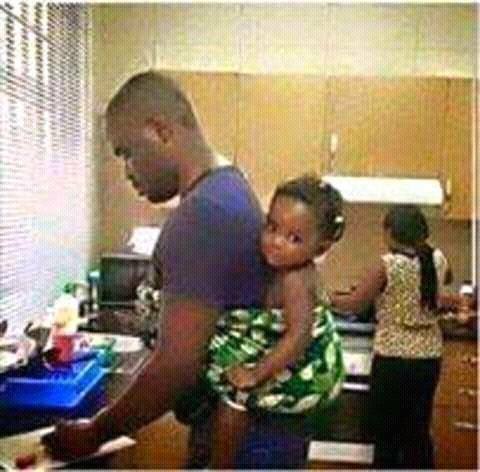 The scriptures did not describe your wife as your house-maid, but as your help-meet(Genesis 2:18), which means; she is to help you do the things you are doing. For example; if you are washing, she is to help you, if you are cooking, she is to help you, even if you are sleeping, she is to help you have a better sleeping experience. She is not to be the one to do everything for you, rather to help you while you are doing what you are doing. The scriptures said; GOD took a rib from the ribs of Adam to create Eve. And when Adam saw Eve, he exclaimed; this is the bone of my bone and the flesh of my flesh! The scriptures also said; both the husband and the wife are now one flesh(Genesis 2:21-24). So, it is a general believe that you and your wife are one flesh, so when you beat your wife, you are beating yourself(your flesh), and beating yourself can be described as insanity of the highest order. The scriptures described the woman as a weaker(or delicate) vessel(1Peter 3:7), so they are not to be mal-treated, but to be treated delicately, to be given maximum care and attention. The scriptures further advised that you should take good care of your wife, so that your prayers will not be hindered~1Peter 3:7. In other words, if you do not take care of your wife, your prayers will be hindered. Most of these wives(the virtuous ones), pray for their husbands in their secret places, because they want to be addressed as the wife of a successful man. But if they are not well treated, they will not be motivated to pray for you and your own prayers too will be hindered. Wisdom Bank will round up this way today; HE THAT FINDS A WIFE FINDS A GOOD THING AND OBTAINS FAVOUR FROM THE LORD~Proverbs 18:22. SO IF YOU ARE LACKING FAVOUR IN ANY AREA OF YOUR LIFE, CHECK THE WAY YOU TREAT YOUR WIFE, BECAUSE THE SCRIPTURES CANNOT BE BROKEN~John 10:35. THEREFORE, HUSBANDS, TAKE GOOD CARE OF YOUR WIVES…BE WISE…!!! Thanks for reading madame…Remain Blessed. Next Next post: EXPLORING THE HIDDEN BENEFITS OF ANGER!